Three YA Horror reads for this Halloween Season: ONE TO SKIP, ONE TO READ, ONE TO KEEP. Grace is a young pregnant girl who is sent to the Wayburne Lunatic Asylum of Boston by her affluent family to hide her shameful pregnancy. In many ways, the asylum offers Grace a sort of sanctuary, away from the predator who lives in her own home and who visited her bedroom at night: her own father. But untold horrors lie behind the close doors of the Asylum, where the staff mistreat the patients, the doctors are torturers and no treatment is actually given to those in need. There is not enough food, or clothes or warmth in there. And after a gruesome, horrific punishment treatment goes wrong and causes her to miscarriage, Grace is sent to the asylum’s basement, where she hopes she will be forgotten. And maybe she will be allowed to forget once she receives the visit of a doctor who practices lobotomy. 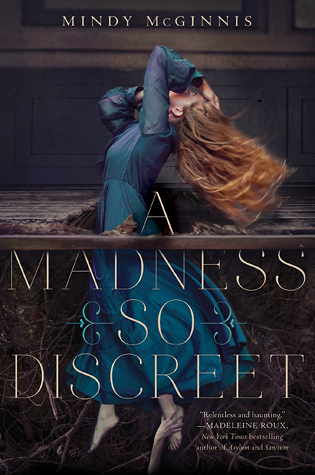 With one of the most striking, dark, unsettling opening acts I’ve read in a while, Mindy McGinnis’s A Madness So Discreet (Katherine Tegen Books, October 2015) is a mix of historical drama, Mystery and YA Horror. The first part of the novel is incredible in its stark horror, with a look at how both “misbehaving” women and the mentally ill have been historically treated. The horrors that the patients suffer at the asylum are unspeakable for the cruelty they suffer and for the stigma associated with the many different illness that have gone untreated, unchecked and misdiagnosed. In many ways, this first part works: as horror novel and as historical critique. Grace is portrayed as a character navigating the line between sane and insane, when abuse, trauma and survivor’s instinct war inside her. But this part unfortunately doesn’t last. Within a few pages, the story takes a weird, unexpected turn: the visiting Doctor, the sociopathic D Thornhollow recognises Grace’s brilliant mind behind her trauma. The two then concoct a plan to get her out of the hospital as a faux lobotomised patient and the duo then become crime scene investigators. For Doctor Thornhollow is a budding murder investigator who wishes to use Grace’s keen mind to help him read crime scenes and catch criminals. Which they do, now from Grace’s new home, another – better, more humane – asylum in Ohio where she makes friends with two other patients. The saving grace (eh) of this second part is Grace’s budding friendships and slow recovery from trauma. Then Grace and the Doctor come across a serial killer who kills women. And here is where the story takes yet another turn into WTF territory. Off-page, Grace kills the killer in cold blood once they realise who he is. But there is very little time spent on the repercussion for this big event because next thing we know, Grace is planning to have her father arrested for the murder of one of the murdered women. And again, a sudden turn: it’s months later, and off-page they manage to somehow convince the police to arrest her father, a US Senator. And now the story becomes a courtroom drama. It needs to be said that it’s not the fact there are disparate strands and different genres within A Madness So Discreet that makes it a mess. It’s how those parts are never given sufficient depth. The novel tries to hug the world with its short hands, and fails. There are specks of brilliant moments in the novel, but unfortunately the whole doesn’t mesh well together into a cohesive whole. This is the one to skip. 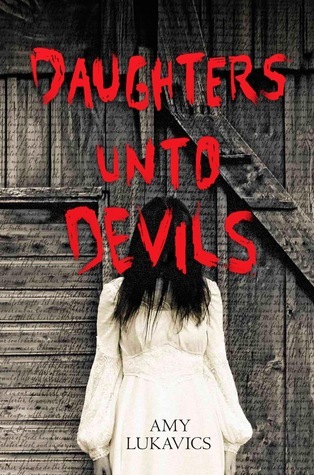 Aptly described as “Little House in the Prairie meets Horror”, Amy Lukavics’s Daughters Unto Devils (Harlequin Teen, September 2015) is a pretty decent and scary YA Horror that meshes historical drama and psychological trauma. Amanda’s family has recently survived the harshest winter of their lives: a big family trapped inside a small mountain cabin for months, with a pregnant mother in the throes of a fever that almost took her life. No one talks about Amanda’s mental breakdown that happened then but they all fear for her sanity. Amanda most of all. She carries the guilt for feeling uncharitable toward her baby sister and for her wanton behaviour with the itinerant postman whom she meets in secrecy. The father of the baby she now carries. Wanting to start over, the family moves to a new home, to a larger cabin found abandoned in the prairie. There, it soon becomes clear that things are not quite right and that in the deeply unsettling prairie, unspeakable things lurk in the shadows. Like A Madness So Discreet, Daughters Unto Devils has a main character dealing with mental illness. But unlike that book, this one doesn’t directly address it – we, the readers assume that Amanda has had a psychological breakdown due to the traumatic events her family went through. In the context of the novel though, that breakdown is dealt with from a religious perspective i.e. portrayed as the devil work. What’s interesting and welcome is how that perspective doesn’t take over the narrative. Quite the contrary: Amanda is portrayed with sympathy and empathy and the ending was surprising in how it empowered her. With a couple of big scary moments, this one is a good Halloween read. Twenty-five years ago, the “Johnson Incident” took place: Elmbridge High burned down, several people were killed and one of the students, Carly Johnson, disappeared. Now, a diary has been found that might shed some light into the events: the diary of Kaitlyn Johnson, Carly’s sister. A sister that doesn’t have a body of her own, a sister that shows up only at night, a sister that doesn’t officially exist. 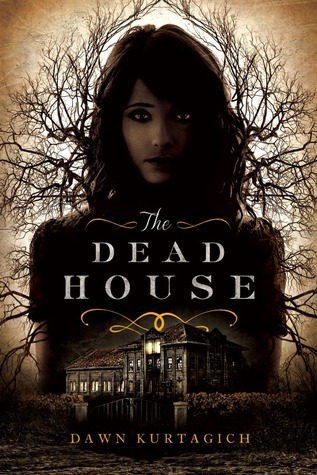 Dawn Kurtagich’s The Dead House (Little Brown / Orion, September 2015), the third novel in our YA Horror round-up is yet another tale that delves into mental illness, trauma and abuse. A psychological thriller in epistolary format, the novel collects diary entries, police interview and film footage transcripts, photographs and Carly/Kaitlyn’s psychiatric evaluations and notes from her doctor. The central question here is obvious: is Kaitlyn “real”? Are the things she experiences real? She is told over and over that she is Cary’s coping mechanism, a split personality created when a terrible tragedy hit their family. But why can’t Kaitlyn – or Carly – remember that? And why do both insist that Kaitlyn has always been there? When Carly suddenly disappears, leaving Kaitlyn alone for the first time, does this mean they have integrated? Become whole? Or is there something more sinister at play here? This? WAS 100% TERRIFYING. It’s surprising how afraid I was, considering the type of narrative this is – who knew documents could be so creepy? The horror here is twofold: both in Kaitlyn’s palpable fear at something that is happening to her (are her visions genuine? Or hallucinations of a disturbed, traumatized girl? Does it matter?) and her utter desolation after Carly’s disappearance and her loneliness. And the many ways that institutions, parents and school can fail their children. As the story progresses, so does Kaitlyn’s growing discomfort and despair until the “incident” happens. The ending is sort of ambiguous –the whole novel is ambiguous – although I sit firmly on one side of the camp. The same camp that couldn’t sleep for two nights in a row when reading this book. Highly recommended and the one to keep. I feel the same way about the change in genres for A Madness So Discreet. In th end I did enjoy it, but I wish that it had continued on in the vein of the first portion. I specifically bought the book because I read the first few pages in the store, and historical asylums intrigue me. While I did also enjoy the latter portion, it was a totally different book. If I wanted a Sherlock & Holmes type story, I would’ve bought one. In my initial review I gave it a 4/5, because both portions were well written. But the more I think about it, the more disappointed I am. It would’ve been phenomenal if it just focused on it’s initial intent.